Today there are a number of ways that you can receive television channels – via satellite or cable or even over the internet. But many people still choose the traditional route of getting their TV through an indoor or outdoor aerial. Indeed, more people choose to watch digital terrestrial channels in the UK than any other format, and for many it’s their only way of watching television. 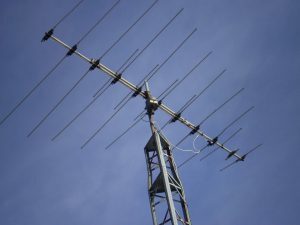 Of course, to watch TV in this way means an aerial is essential, but how do you go about choosing one? If you are new to an area, take a look at what type of aerials you neighbours have and which direction they are pointing in. This will give you a clue as to what you need and the direction of the transmitter that will give you the strongest signal. 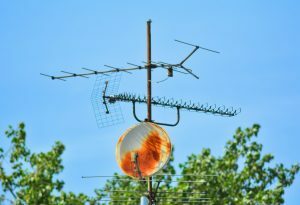 If other people’s aerials are all pointing in different directions, it may be a clue that you’re in an area where it’s hard to get a good signal. Consult a Bath TV aerial installation expert to find out what’s the best option. The Freeview website can tell you which channels you should be able to receive in your area and give you an idea of what the signal strength should be. A firm offering TV Aerial Installation Bath will be able to advise you on the best type of aerial to maximise your viewing potential. It is possible to have an aerial indoors, usually in the loft, but these will give you a weaker signal than an outdoor antenna. Whether you can get away with an indoor aerial really depends on where you are in relation to the transmitter. Distance isn’t the only factor here. Even if you are close to the transmitter there may be buildings, trees or other obstructions to the signal. Installing an outdoor aerial is a specialist task. It needs to be safely and securely fixed to the building, which means working at height on the roof or on the gable end. You must be sure that if you are fitting it to a chimney – for example – that it is strong enough to take the load and won’t cause problems in high winds.